DARIEN — Learning patience can be an important life lesson, for James Gombos he found that through one artform - martial arts. “I was a very active child,” Gombos said. The 42-year-old Fairfield native was inspired by classic Bruce Lee films growing up. As a child, he credits martial arts for helping him to build his self-confidence. 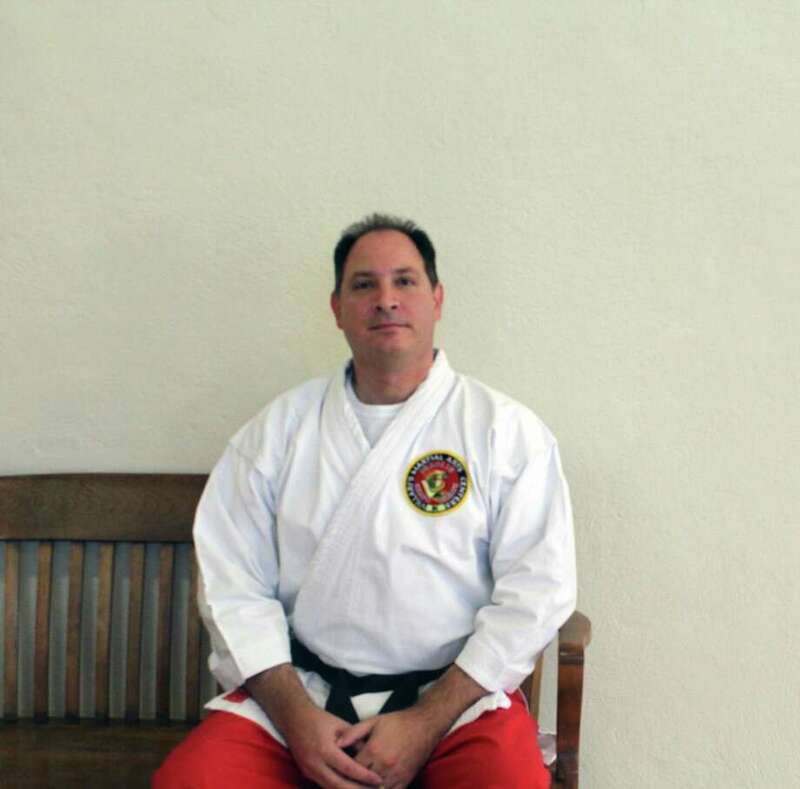 At the age of 10 joined Villari's Martial Arts in Fairfield to learn Shaolin Kempo Karate, eventually earning a fifth-degree black belt. “One of the big things we learned as a child was just understanding how to fall properly,” Gombos said. Learning how to fall properly and understanding how to control his body has saved him from injuries throughout his life. At a young age understanding, self-discipline would be one of the key life lessons he pulled from the art form. “Setting a goal and not only attaining a goal, but above and beyond that goal,” Gombos said. Through self-discipline, he learned a patience that would stick with him for the rest of his life. Often there is a misconception that martial arts are simply about fighting due to films, he said. However, contrary to this idea martial arts teaches students ways to avoid conflict. “In this day and age our world is full of many different situations,” he said. “I’m a firm believer you can talk yourself out of many of those situations by remaining calm and collected. As a child participating in martial arts, he hoped to one day have his own school. At 18 his instructor saw his passion and brought him into instructor classes to show him how to teach individuals. An engineer by trade, he credits his profession for his approach to martial arts. Looking at things through a technical aspect taught him to understand exactly how things work. In 2008 his childhood dream would come true. With his wife Bonnie Gombos, he would start the martial arts program at the Darien Arts Center. The idea originally came with the thought of finding a way to involve boys more at the center. “Not only did we get some boys in, we saw a lot of young girls, teenagers and adults interested,” he said. Having the school as a part-time was a preference for Gombos. Without having to solely focus on bringing money into a school he is able to focus on the most important aspects of a school - the students. Traditional martial arts is not a business. In fact, most traditional schools throughout history were part-time schools, Gombos said. Schools would be formed by small communities coming together as a past time. “I think martial arts overall has lost a lot of that,” he said. Bringing the community aspect back to the art form was an important aspect for his school. Through that students could build lifelong relationships and learn the importance of martial arts, he said.